Comments: A very well looked after heavyweight carpet that will grace any room. This carpet is at the larger end of the ML range. 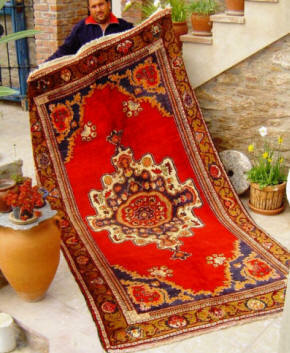 Many older carpets migrate to a wall location as they get older, providing a visual rather than practical service. However, this carpet is still capable of providing a lifetime of service as a very practical and decorative floor covering.